On Tuesday nights in September, the Ottawa Public Library will be hosting the MERCOSUR film festival. Join us in our auditorium for all four films, presented by MERCOSUR member countries Uruguay, Paraguay, Brazil and Argentina. The films start at 6:30PM and are free to attend. Note: The films will be presented in their original language with English subtitles. 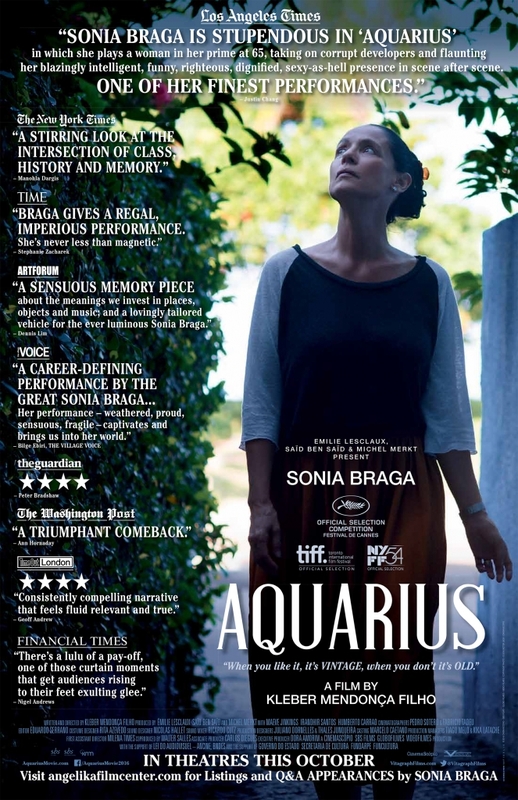 Aquarius - Clara, a 65 year old widow and retired music critic, was born into a wealthy and traditional family in Recife, Brazil. She is the last resident of the Aquarius, an original two-story building, built in the 1940s, in the upper-class, seaside Avenida Boa Viagem, Recife. All the neighboring apartments have already been acquired by a company which has other plans for that plot. Clara has pledged to only leave her place upon her death, and will engage in a cold war of sorts with the company, a confrontation which is both mysterious, frightening and nerve wracking. This tension both disturbs Clara and gives her that edge on her daily routine. It also gets her thinking about her loved ones, her past and her future.